Special Ability: Tectonic Tunnel - Your Steel-type and Ground-type Pokémon each deal +10 damage. This Pokémon cannot be surrounded by your opponent's Pokémon. At the start of your turn, instead of an MP move, this Pokémon may move through an adjacent Pokémon to a point 1-2 steps awy from that Pokémon. Your turn ends. 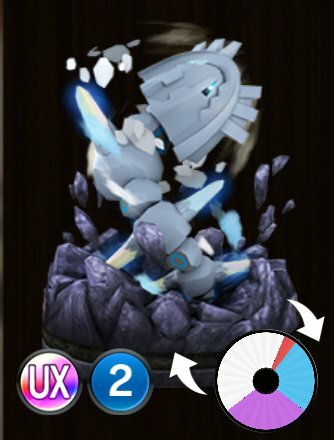 24 Rock Polish Blue Until the end of your next turn, the White Attacks of this Pokémon become Gold Attacks.